We are Contour Specialists. 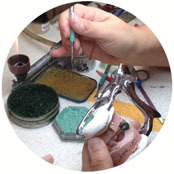 For more than 30 years, we've been offering a wide range of SERVICES and PRODUCTS proudly fabricated in-house using quality materials. We also work closely with manufacturers and providers (such as Strauman, cap, CMC, Atlantis, among others) to offer the best solutions for your practice and patients. Our central Indiana pick-up and drop-off is always free. So is outgoing shipping. Turn around time is 7 days for most cases--less if it's a digital submission. On the cutting edge. My how things change. The digital age is here, and we are adapting right along with it. 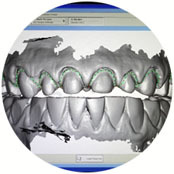 Contour Specialists has been using CAD/CAM TECHNOLOGIES for the last 12 years and is poised for the future. 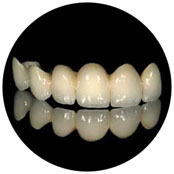 We are now accepting digital impressions from a wide range of systems. 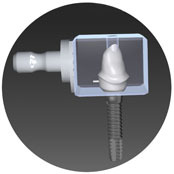 CAD/CAM designing and milling allows us to provide implant and esthetic solutions for even the most difficult cases. Here at Contour Specialists, strength and beauty are now mentioned in the same sentence. Proudly accepting digital impressions from a multitude of systems. As our industry progresses towards digital impressions, the ability to accept and share files is paramount. Contour Specialist is ready to be your digital partner with the ability to accept scanned files from a variety systems, including Carestream, DDX, Dropbox, CEREC Connect, and more. Visit our DIGITAL EXCHANGE. 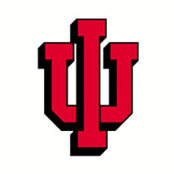 Serving Indiana University for more than 25 years. Learn more about our community OUTREACH.